Are you hitting the road soon? Even though the economy is faltering, at least fuel prices are more manageable this summer season. Whether you’re traveling via plane, train, or automobile, we’ve got some recommendations for you. We’re big fans of the I Spy Bags by Those Greathouse Women. For this summer season, they created this adorable valise. Even if you’re only visiting Paris, Texas your kids will be entertained. 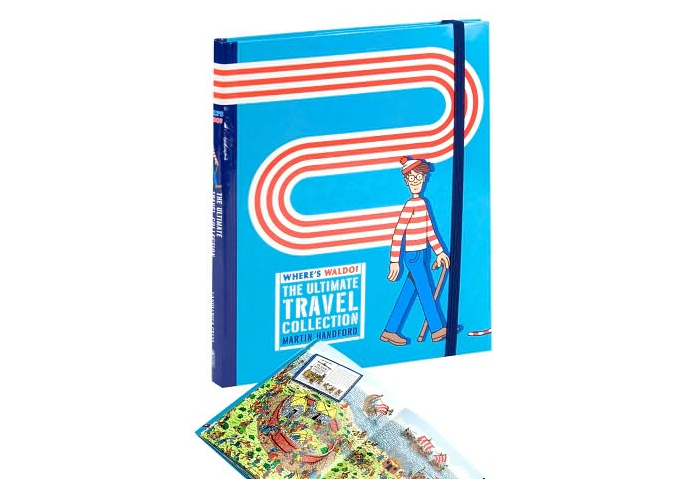 We love the Where’s Waldo: Ultimate Travel Collection, which is a compact paperback bind-up of five classic Where’s Waldo adventures. With 152-pages we foresee hours of entertainment in your kids’ near futures. Chalk ‘N Doodle is genius. It’s a laptop chalk board which doubles as a drawing tablet with elastic bands to hold a doodle pad, activity book, or piece of paper. 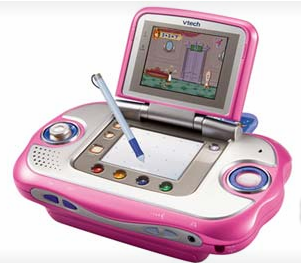 And of course, there is place to keep chalk or crayons handy. 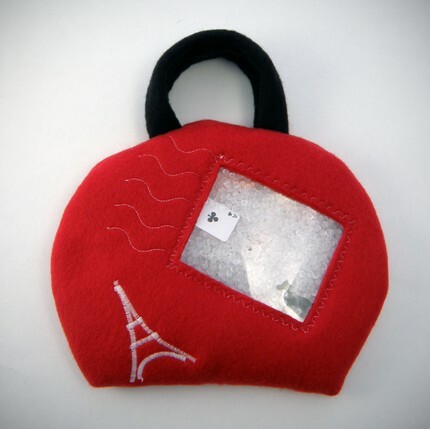 Better yet, it’s small enough to put into a bag or purse. Fold it up and go. 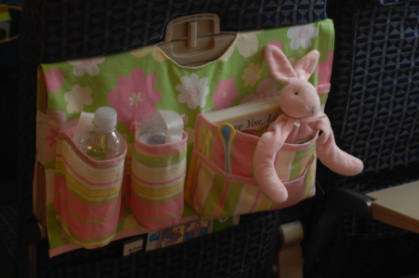 The Tray Bien allows parents to keep their children’s bottles, sippy cups, books, etc all within reaching distance. I don’t know about you, but I hate that I’m constantly bumping my head as I bend down to fetch yet another bottle from the bag underneath the seat in-front of mine. Trunki hit the scene a couple of years ago. Whenever I see one in the airport, invariably everyone is smiling. The airport jockeys and mostly the kids along for the ride. 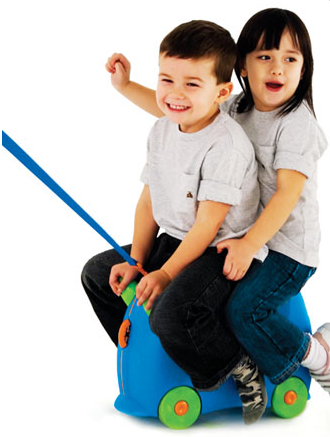 Designed for family vacations, children can pack, sit-on and then ride their own luggage. Does it come in mommy-sizes? 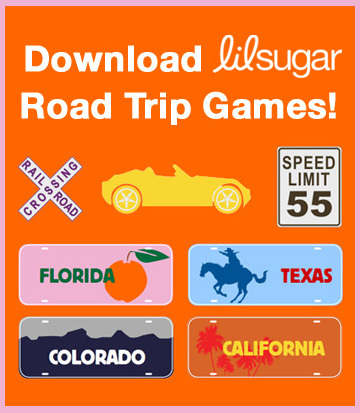 Lastly, Lilsugar has whipped up some new downloadable road trip games that moms and dads can print out before they pack the car and hit the highway. So cute! And, did I mention FREE?